?Arsenal are apparently open to the idea of offloading star man Mesut Ozil in January, with Inter set to discuss a potential transfer with the German’s agent in Italy this week. Ozil has been absent from each of Arsenal’s last four Premier League outings, of which the Gunners have won four and drawn one, with the 29-year-old suffering with a back problem. The midfielder is being eased back into training, but there are growing concerns that he no longer has a place in Unai Emery’s setup. ?Arsenal’s Spanish head coach has revamped his system in ?Ozil’s absence in recent weeks, switching to a back three system which the German may struggle to adjust to upon his return to action. With that said, ?The Sun have reported that the Gunners may be prepared to sanction Ozil’s exit from the Emirates. 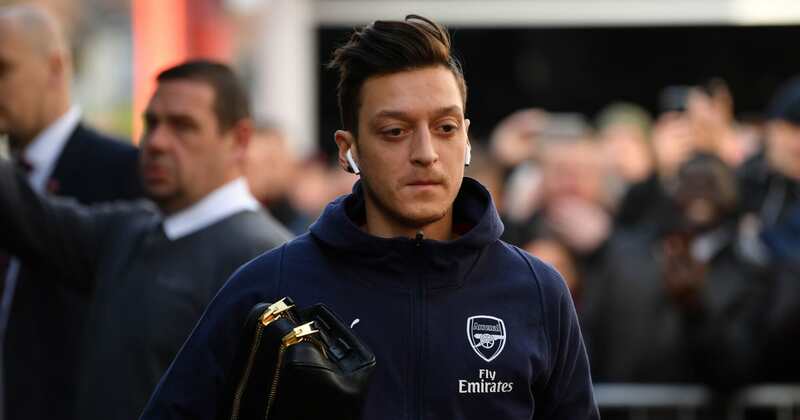 The report comes as something of a surprise, given that the Gunners handed Ozil a staggering pay rise to £350,000-a-week to commit his future to the north London side – just a year before Arsenal are now said to be considering his departure. However, Ozil’s new contract was one of the last major deals conducted by the club as Arsene Wenger’s reign as manager drew to a close at the Emirates, and Unai Emery has made significant changes at Arsenal since then. The Spaniard has implemented a more meticulous and ruthless regime in north London, and that is reportedly set to continue in Ozil’s case. Arsenal are said to be open to offers of around £25m for the German superstar in January. It is said that Ozil’s brother will be among his representatives that travel to Italy this week to hold talks over a potential deal with Serie A giants ?Inter. Though the San Siro outfit are apparently unable to meet the midfielder’s wage demands, Ozil would see little sense in staying put at the Emirates if he is no longer first choice under Emery. What’s more, it is suggested that Emery could be keen to generate funds from Ozil’s departure to put towards signing a replacement for the injured Danny Welbeck in attack. The England striker is likely to miss the rest of the season.